BEAR HUG has established and opened approximately 40 relaxation locations. Our group locations have reached about 60 when we include our other relaxation locations, such as dental clinics, osteopathic clinics, and internal medicine clinics. The BEAR HUG Group operates its relaxation business as the top company in the Japanese relaxation market which is expected to become a huge market exceeding approximately 12 trillion yen. BEAR HUG cultivates therapists with professional relaxation skills that serve to assist customers and that are appreciated, needed and attracted by customers. We provide quite a unique educational curriculum, which we developed and certified according to ISO9001. A course for acquiring necessary skills for sports training therapists, ordinary therapists (facial and body treatments with oil / foot therapy), and aestheticians (facial and body aesthetic treatments with oil), for just one month at earliest. BEAR HUG started with relaxation business. The relaxation department of BEAR HUG, which attracts massage connoisseurs and professional therapists, has provided customers with body care services of high quality. 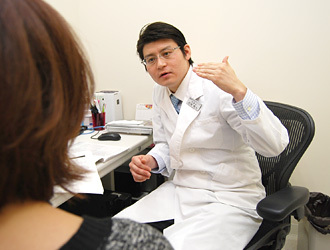 We have developed our locations across the country mainly based in Tokyo and Nagoya. Our aim is to deliver an unchanging spirit, “To deal with all people with affection,” to all of those feeling tired nationwide. Body care, chiropractic services, foot care, VIP course services, on-site care services, a variety of menu items such as optional menus, etc. Our aesthetic department was born from at the request of our customers. All women and men have a desire to remain beautiful or handsome forever. We offer our heartfelt therapies so that our customers can stay healthy and beautiful. Aromatherapies, facial therapies, nail treatments, epilation, etc. Our chiropractic department is committed to provide pain removal therapies. We have devoted ourselves to provide reliable chiropractic therapies as a community-based chiropractic clinic. We also provide therapies tailored to each customer’s body condition, offering treatments covered by insurance, self-pay treatments, and relaxation therapies. To offer care to our customers without missing the distress signals from their bodies so that they and feel better ? this is our goal. From time to time as you use your body and increase in age, you may need some care and therapy. Anybody can suffer from toothache or a gum disease, and such tooth related diseases cannot be overlooked. Because of that, we believe that we should provide careful treatment for our patients. The dental department was started as a company to be always a part of each individual patient’s life. Only physicians can give necessary treatments to patients suffering from diseases. Therefore, we chose to collaborate with physicians having a broad range of medical knowledge. We try to explain to you about your body in your language, until you can fully understand your condition. From medications for colds to preventative medical treatments, we protect the health of you and your loving ones. In 2014, BEAR HUG launched our new care department. We have in mind to assist those people who created peaceful and rich time for as after living through turbulent times. We would like to express our heartfelt appreciation so that they are satisfied with their peaceful life. In this department we have the desire to implement and integrate our management policy of “Caring for All People With Affection,” into this department. Apr. 18, 1998, and in June the same year, BEAR HUG Inc.
Nov. 8, 2010, BEAR HUG Co., Ltd.
BEAR LOVE, OWL WORDS Co., Ltd., JUNREIKAI, TAMAYURA Co., Ltd.
BEAR HUG will become a company that always provides the world with the latest relaxation services. 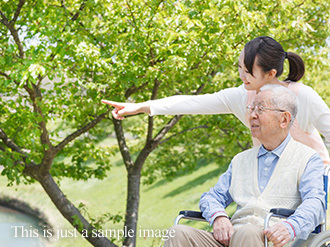 The BEAR HUG Group aims to become the best company in Japan as a total health company that provides relaxation business, aesthetic services, medications, hospitals, and care services and protects the body and heart for people in their 20s to their 70s. We are also seriously trying to be a company that can consider both physical and mental needs of all staff members, in order to cultivate kind and affectionate staff members that can work for the world and people, and live right. Copyright (C) BEARHUG All Rights Reserved.